Beginning on October 18 and continuing through the end of this year, Le Perigord, the acclaimed classic French restaurant midtown (405 East 52nd Street — between First Avenue & FDR Drive), is launching its first ever Game Festival, complete with seasonal vegetables and garnishes. Executive Chef Joel Benjamin will be preparing game specialties — venison, pheasant, partridge, grouse, woodchuck, quail, elk, and squab. He will begin with venison loin filets, partridge, and pheasant dishes, using several different recipes during the fall season. However, he will be adding grouse, quail, squab, elk, and other forest denizens to the festival as the season progresses. Each dish will be carefully planned and will be prepared using seasonal market products and complemented with sauces from Le Perigord’s master saucier, who has been at the restaurant for 35 years. 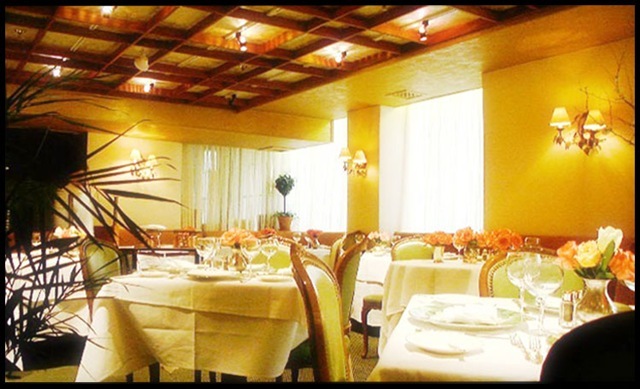 Le Perigord will also prepare someone’s favorite dish given sufficient lead time. For more information about Le Perigord’s Game Festival, call: (212) 755-6244. ← Rouge Tomate Offers Something Different. Something Healthy. Something Delicious . . . Something NEW!